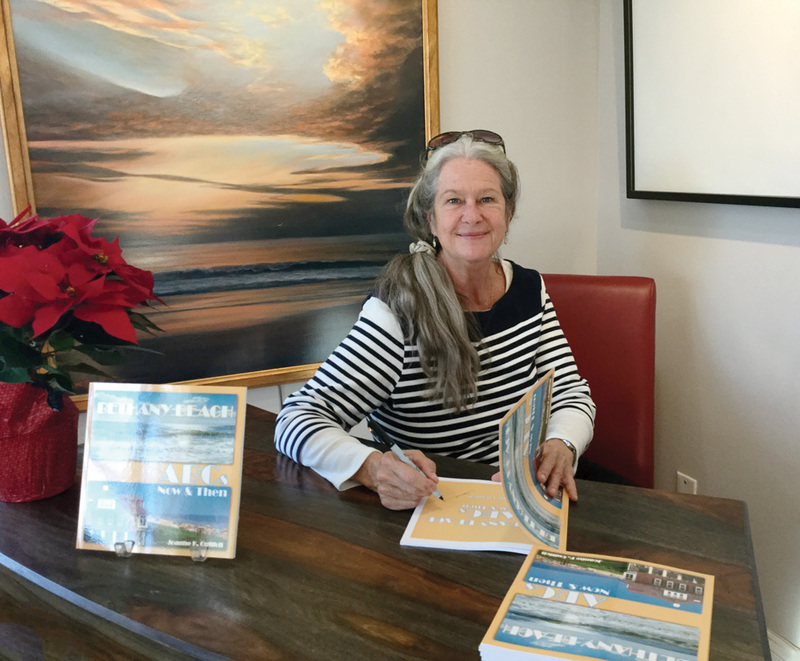 Artist and author Joanne Guilfoil will introduce her new book, ‘Bethany Beach ABCs Now and Then’ with a book signing at the Ellen Rice Gallery in Ocean View this Saturday. Disney-certified Glass Slipper Concierge professional travel advisor Duane Whitman will share inside news about coming Disney attractions. 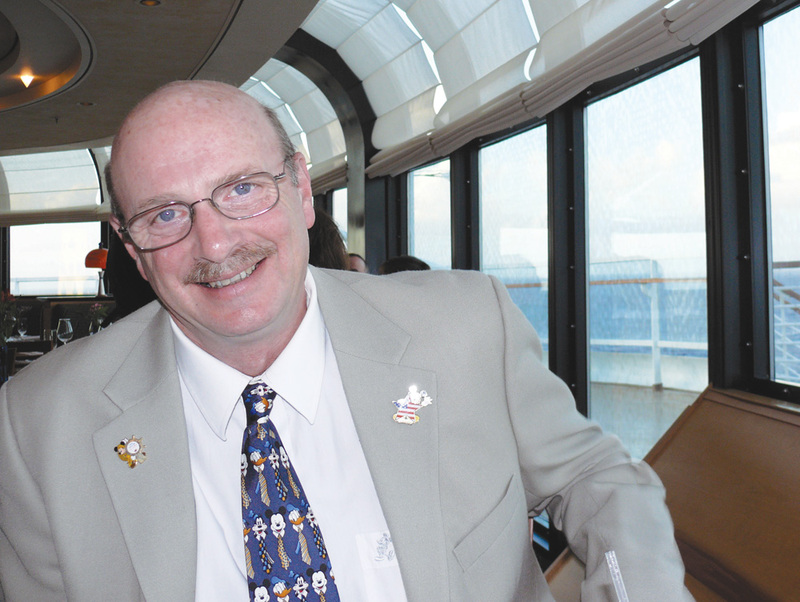 At the same time, on the opposite side of the gallery, Disney-certified Glass Slipper Concierge professional travel adviser and Orlando Travel Expert Duane Whitman will present a “Disney Day of Discovery,” talking about all that’s new at Disney on land and sea. The public is being invited to both events. Refreshments will be served throughout the day. Free parking is provided at the Atlantic Avenue (Route 26) gallery. Artist and author Guilfoil has a passion for teaching, and she’s using her sometimes hard-acquired talents to create a fast-growing series of books. This Saturday, she’ll release her latest, “Bethany Beach ABCs Now & Then,” a blend of coloring-book illustrations and poetry by her that tell the history of Bethany and why it is so loved today. Guilfoil missed a lot of school early in her life, due to illness, which severely impaired her ability to read with comprehension. During that time, she channeled her efforts into drawing and painting. Ultimately, she earned a doctoral degree and became a college professor teaching art, only recently retiring to the Selbyville area. Today, she is the author and illustrator of “Flying Over Delmarva: Spray Planes, Banner Planes & Bi-Planes,” and her last release, “Berlin Maryland ABCs,” a colorful tribute to the history, characters and traditions of “America’s Coolest Small Town,” which was released this summer and is now going into its second printing. She has several more under way. Her “Bethany Beach ABCs” book, whose cover is illustrated with a painting of the ocean by Ellen Rice, costs $15 and is available at the Ellen Rice Gallery and bookstores throughout the area. The public is being invited to meet Guilfoil and get their copies signed on Saturday. Duane Whitman’s first experience with Disney was as a young boy visiting Disneyland in California with his mother and aunt. So entranced was he by his first visit, by the time he got home to Millsboro, armed with maps and brochures, he had already mapped out and planned in great detail their next Disneyland vacation. It wasn’t long before Walt Disney World opened, and he was planning trips and detailed itineraries for friends and family. Fast-forward a few decades, and he had become a professional travel advisor and agent for award-winning Disney-centric Glass Slipper Concierge (www.glassslipperconcierge.com/about-us/specialist/duane-whitman). During his “Disney Day of Discovery,” Whitman will enlighten guests about highlights of this year’s Epcot Flower & Garden Festival, the forthcoming “Skyliners” mode of transportation linking select resorts to Epcot and Disney’s Hollywood Studios, the much-anticipated Star Wars Galaxy’s Edge theme park, scheduled to open in late 2019, and also answer questions. He invited those attending to bring their Disney question lists and has also offered to give free personal travel consultations as time allows. For more information, call the Ellen Rice Gallery at (302) 539-3405 Monday through Saturday from 10 a.m. to 5 p.m. and Sundays from 10 a.m. to 4 p.m. The gallery is located at 111 Atlantic Avenue, Ocean View, 2.2 miles west of Bethany Beach and diagonally across from Lord Baltimore Elementary School, in Coastal Plaza. Visitors can look for the red shutters and yellow butterfly benches and follow the yellow flowerpots to the door. Live directions are also available on the contact page of the gallery’s website, at www.ellenrice.gallery.